The Stop fraud and abuse of EU funds! - European Citizens’ Initiative aims to step up against fraud and the industrial-scale abuse of EU funds. 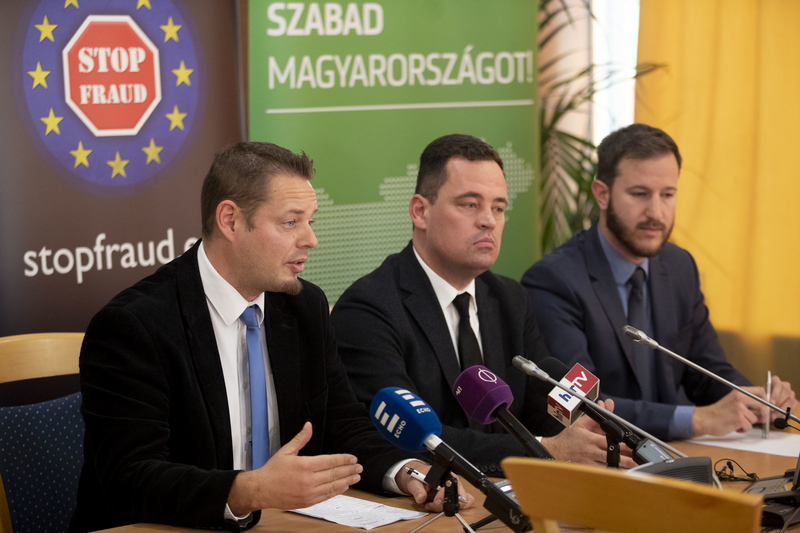 The project and the collection of signatures are supported by two political parties, said Tibor Bana, László Lóránt Keresztes and Zoltán Keresztény in their Budapest press conference. Zoltán Keresztény, the representative of the initiative said that the collection of signatures was launched by seven citizens in seven EU member states: Austria, Belgium, Luxembourg, France, Sweden, Germany and Hungary. The civil activist explained it was a particularly widely held opinion in Hungary that EU funds never got to the ones who needed them, i.e., hard-working citizens, because these monies were stolen by “the powerful” anyway. According to Mr Keresztény however, it was not such a self-evident truth because if there was zero corruption in Hungary, our citizens could receive funds allowing average Hungarian families to go on a two-week holiday for free and all Hungarian children to go to private school. The representative asserted that depriving the Hungarian people from these funds was “equivalent to trampling upon our national interests”. Talking about the initiative, he said if the necessary one million signatures were collected, the European Commission can develop a legislation to close the EU money flow from organizations and individuals suspected of EU-level corruption; and the enforcement of this law would not depend on the national governments. He emphasized that it would not mean withholding EU funds from the affected countries. Mr Keresztény expressed his view that the European Citizens’ Initiative could help the EU to truly function as a community, which is a vital issue for peace in Hungary and the continent alike. Explaining that the statement of support forms could be signed online or on paper, he added that the Greens/EFA officially endorsed the project and MEPs of other European groups had also expressed their interest to join. “We are conservative, socially sensitive and liberal, and we all want to live freely and peacefully,” Mr Keresztény concluded, stating that EU-level corruption, quasi-feudal governments and regimes relying on tapping into EU funds were pushing Europe toward a new war. Jobbik’s vice president Tibor Bana emphasized how happy he would be if all political forces and party families of the EP could support the anti-corruption initiative because, in his view, “making the allocation of EU funds more transparent is a non-partisan issue”. 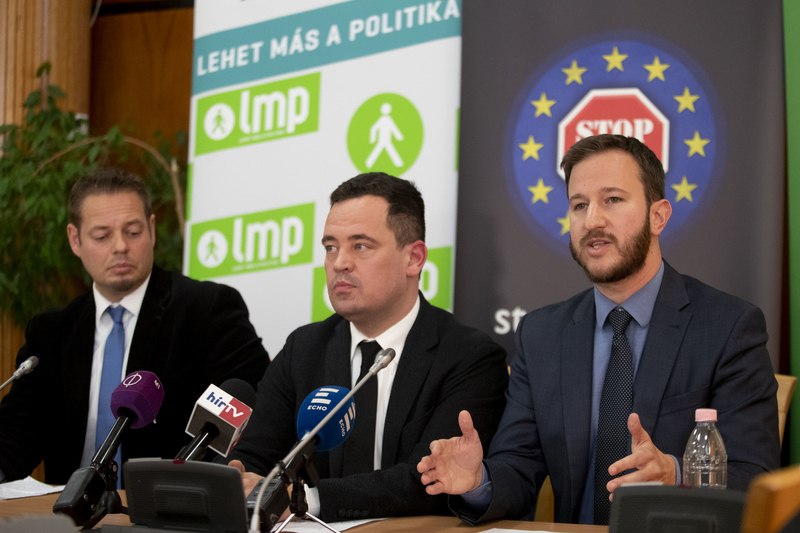 Pointing out that the project was very much in line with Jobbik’s goals laid out in the party’s EP election program presented the day before, the MP explained that Jobbik wanted to eliminate the abuse of EU funds in countries which are currently prevented by their corrupt governments from joining the European Public Prosecutor’s Office. 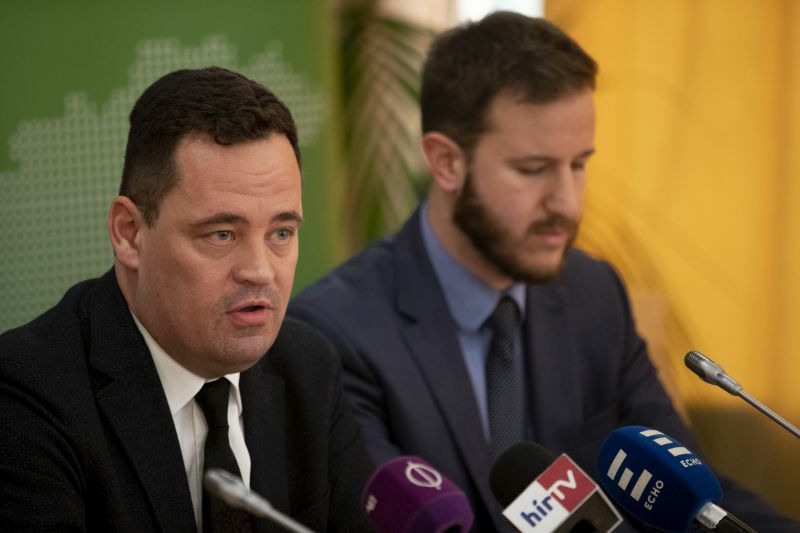 Mr Bana told the media that Jobbik was going to back the project and help in collecting the statements of support from citizens. As he put it, it is intolerable that honest Hungarian citizens have to pay the penalties imposed on Hungary for the acts of pro-government oligarchs revealed by the OLAF reports. So Jobbik will run its signature collection campaign with the slogan “Fidesz, pay! Criminals, pay!” to make sure that the abusers of EU funds get real punishments. He noted that Jobbik wanted the EU and Hungary to be free, fair and democratic, which cannot happen unless these abusers are stopped. László Lóránt Keresztes said he missed the support of the other opposition parties for the initiative and asserted that Fidesz had raised corruption to a historical level. Blaming the government and its business circle for the systematic abuse of monies and the consequent grave social damage, he explained that Hungary, especially its rural areas, had not been converged to European living standards, hundreds of thousands of people emigrated to the West due to their financial hardships, corruption distorted the economy by giving an unfair advantage to business enterprises with good political connections, so Hungary had not been prepared for the challenges of the 21st century. “Voters rightfully expect the opposition to come up with effective measures against the corrupt government,” LMP’s co-president said, adding that they were going to mobilize Green movements across Europe to collect signatures. He also noted that the European Citizens’ Initiative was a project that no government could block or influence politically.